Can You Drink Distilled Water or Demineralised Water? Nowadays we are lucky enough to have a range of different waters readily available for a variety of uses including drinking and industrial applications. However, did you know that drinking either distilled or demineralised water on a regular basis over long periods is hazardous to your health? Both types of water are created using different methods but the results are fairly similar (but not the same) in that the natural occurring minerals in the source water are removed. In addition, distilled water actively absorbs carbon dioxide when in contact with the air making it quite acidic. Some health practitioners do advocate drinking distilled water as part of a controlled body detoxification process but the intake only lasts about a week or so. No more! Only do this with a qualified health professional. So the longer you consume distilled or demineralised water the more chance you have of developing mineral difficiencies and a higher body acidity. 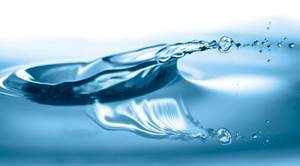 You can read about both types of water here – distilled water and demineralised water – to find out how they are different, production processes and what their proper uses are. It’s also said that some soft drink producers use distilled water in their drinks which is another reason to stop drinking them on a regular basis. Vintage Road Haulage supply and deliver demineralised water in bulk for industrial and pharmaceutical purposes. For more details please call (08) 9410 1726 or email using the contact form on the right.